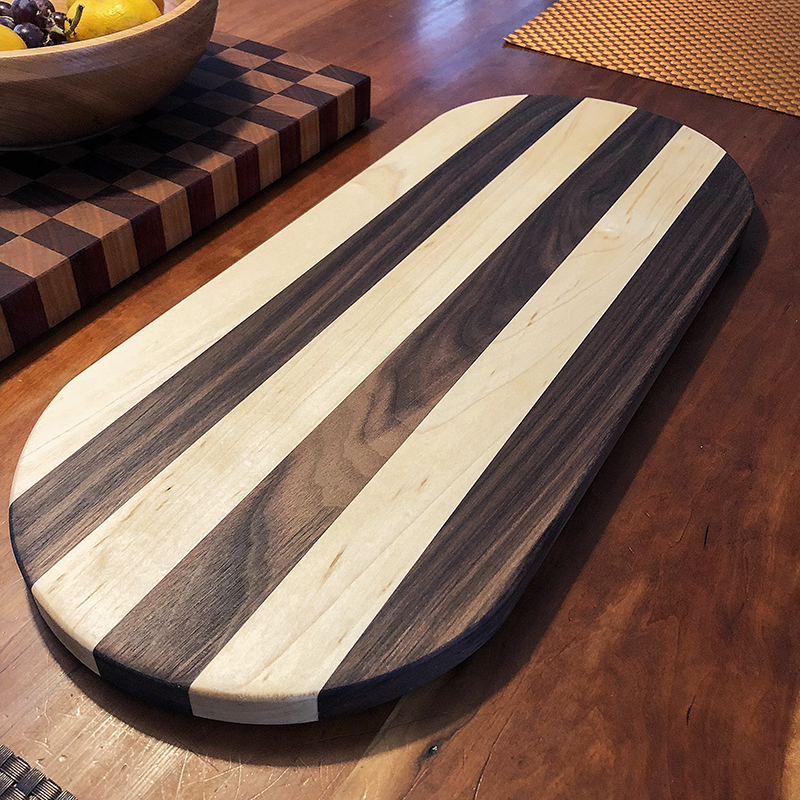 All cutting boards are finished with food-grade mineral oil. Dimensions:15 1⁄2 inch × 11 7⁄8 inch at 1 1⁄4 inch thick. Dimensions:20 1⁄2 inch × 8 5⁄8 inch at 3⁄4 inch thick. Want to be notified when more are in stock, please contact me here. 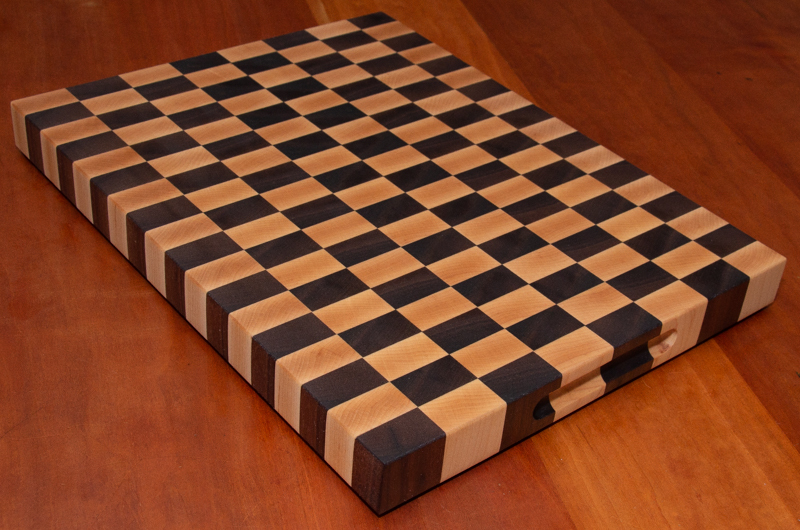 Would you like your cutting board to a custom size? Please let me know.